It's the bugbear that troubles millions of householders - the gas man who doesn't turn up when promised. But under little-known rules that came in last year, customers are entitled to claim £30 whenever a meter reader misses his or her four-hour time slot. 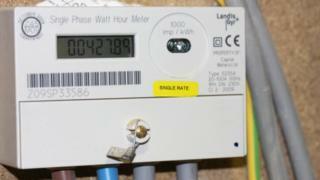 Furthermore, if the energy supplier doesn't pay within 10 days, the customer can claim an additional £30. The rules came to light after British Gas admitted being late no less than 12,000 times last year. As a result it had to pay out £1.1m in compensation, according to the regulator Ofgem. British Gas paid affected customers - most of whom were small businesses - the £60, plus £30 in additional compensation. British Gas says it pays compensation if one of its engineers misses a time slot by as little as one second. The only exception to the rules is if an engineer is late "due to circumstances beyond our control". It is not thought that delays due to heavy traffic is a legitimate excuse. British Gas is not the only supplier that has been missing appointments. late to more than 25% of their appointments. Its records show that more than 4,000 customers were affected in the months running up to Christmas. Those customers should have received automatic compensation within 10 days. "It's crucial that suppliers keep appointments on time, and make amends when things go wrong," said Martin Crouch, Ofgem's senior partner for improving regulation.